In this ongoing series, I will wade through the boxing films available to view on Netflix Streaming and give my honest review for each and every one of them–at least until I sag into the ropes and the ref waves it off. The Opponent, has sat in my queue for over a year. It doesn’t look very good. According to the Netflix summary, The Opponent is about a woman who starts boxing in order to get away from her abusive relationship. The woman is Erika Eleniak. Apparently she was on Baywatch and I vaguely remember her from Under Siege. I liked Under Siege, but I don’t think she was the reason. Still, there’s hope for this yet. The movie is directed by Eugene Jarecki, and he’s made quite a name for himself directing some must-see documentaries, including Freakanomics (2010), and The House I Live In (2012). I wish The Opponent had just remained in my queue. I see, now, why Eugene Jarecki only directs documentaries. 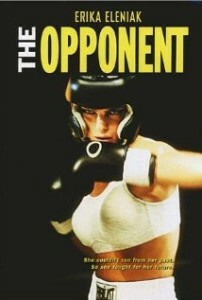 The Opponent tells the story of Patty Sullivan (Erika Eleniak), an abused girlfriend of a tow truck driver who finds herself in the company of a fight promoter and his limo driver, Tommy. Tommy was an up and coming fighter at some point, but went nowhere. He runs a gym these days and has a small stable of kids whom he trains. After a night making some quick cash as a ring-card girl, Patty asks Tommy if he will train her to become a fighter and he reluctantly agrees. She trains, she fights, there’s a montage, and there’s some romance. None of it really works. From the first scene you know this is going to be a budget, independent film. That’s okay with me. I don’t need a lot of production value. Excellent independent films can focus on characters and storytelling and this movie does neither. Right off the bat, Patty grates on your nerves. She apparently doesn’t work and lives in her [platonic] girlfriend’s apartment when she isn’t dealing with her scumbag boyfriend. I thought maybe it would get better when she started training, but it does not. Patty is the worst sort of pupil. She does not listen. She refuses to go through the drills. She loses her cool in the ring. I don’t know too much about the amateur boxing scene, and I know even less about the amateur women’s boxing scene, but I find it hard to believe that what I saw on screen would make anyone except the most garbage of promoters nod their head and say “heeeeeey.” Patty goes through a training montage set to dated music composed on a Casio. 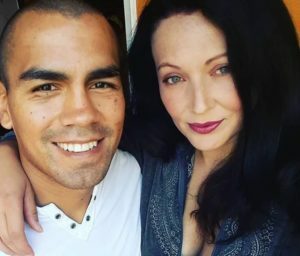 The promoters want her to turn pro for some reason and Tommy rightfully says no. She then has eight more fights. We only get to see one of these. It’s barely better than the first one, and the camera work and choreography is so poor that you never quite know what’s supposed to be happening. Patty keeps her hands so far apart it’s as if she’s framing her face so her opponent will know where to hit her. Let me remind you that she has had nine fights so far. The subplot about her gaining confidence over her crap boyfriend continues and Patty must learn to control her emotions, something that is hammered into our heads over and over again although Patty never seems to get it. At some point, Tommy actually says “Who is it you’re fighting in there!” which is about as on-the-nose as you can get with dialogue. By this point I was so bored, and disgusted with the movie I couldn’t wait for it to end, or at least cut to somebody else. Except there’s nobody else to cut to. 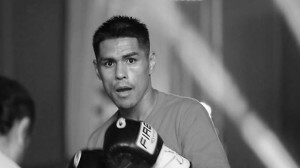 Tommy has other guys in the gym that are more experienced but apparently they are going nowhere because this firecracker with 3 months of gym experience is taking boxing by storm. Nobody gets much time to develop as a character. Nobody is likable. I just don’t get it. The whole thing rang as so false that I couldn’t get invested emotionally, and the boxing was so bad that I couldn’t even enjoy it on that aspect. I expect most independent films to move at a slow pace. I’m fine with that, but this is marketed as a boxing movie and pretends it’s about how boxing builds a person and teaches them discipline, I guess. The frustration sets in when the story spends more time on a character still stuck in their first-act habits and it takes almost ninety minutes to get them to make a serious decision to change for the better. And then, just when you think our protagonist is going to turn herself around, the movie ends. Yup, that’s it. Be prepared for a very dissatisfying ending. I can’t believe I’m actually saying this, but I sort of wish I was watching last week’s Uwe Boll movie instead. At least that movie looked good. This is a daytime television movie at its worst. Still, if you are a diehard Erica Eleniak fan, maybe you might want to watch this? The urban north-east locations look gritty, and the set for the gym looks real good. Too bad they couldn’t inhabit it with people we actually cared about. Join me next week as I review The Boxer (1997), starring Daniel Day-Lewis and Emily Watson, directed by Jim Sheridan. With a line-up like that, there’s no way this can be bad. And coming from the director of In The Name of the Father and My Left Foot, expect a side-splitting, laugh-a-minute ride to funny town. 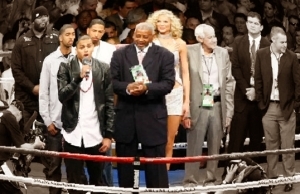 Follow me on Twitter @OGYokYok if you want to talk boxing, movies, boxing movies or exchange immature jokes.